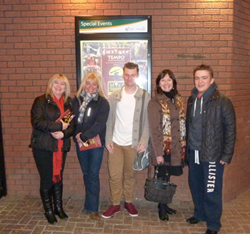 Four of us were lucky enough to attend the opening night of Miss Saigon, performed by TEMPO the award winning amateur youth theatre company based in Wilmslow, Cheshire. 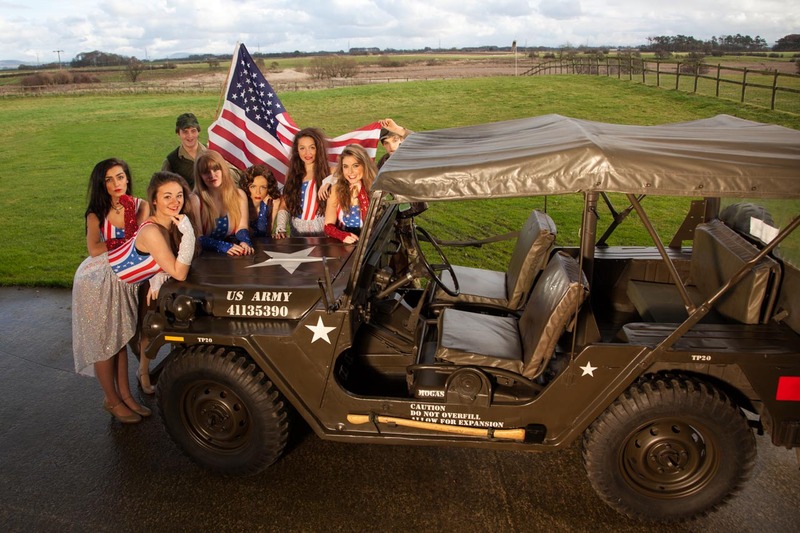 The company had approached us last year to request a photo shoot with our Huey and we were delighted to oblige. 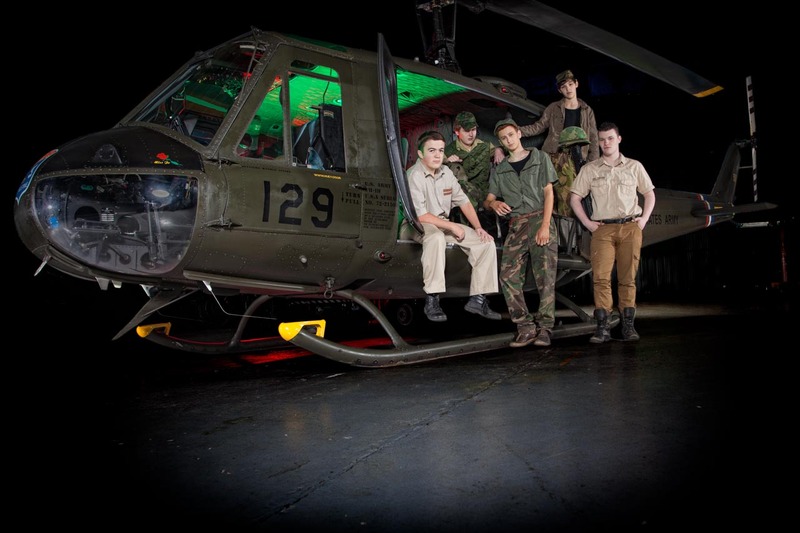 All fans of musical theatre will know that one of the highlights of Miss Saigon is the landing of a Huey helicopter - like the candelabra in Phantom of the Opera and the car in Chitty Chitty Bang Bang, the helicopter plays an important role. 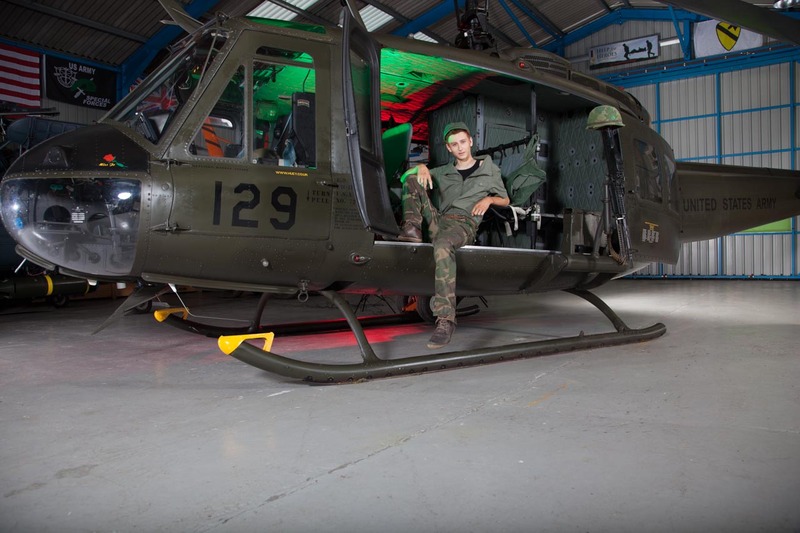 The team at TEMPO, with their attention to detail, wanted the real thing for their promotional material and they came up to our hangar last November to be photographed with our Huey and Mutt – see the pictures below. 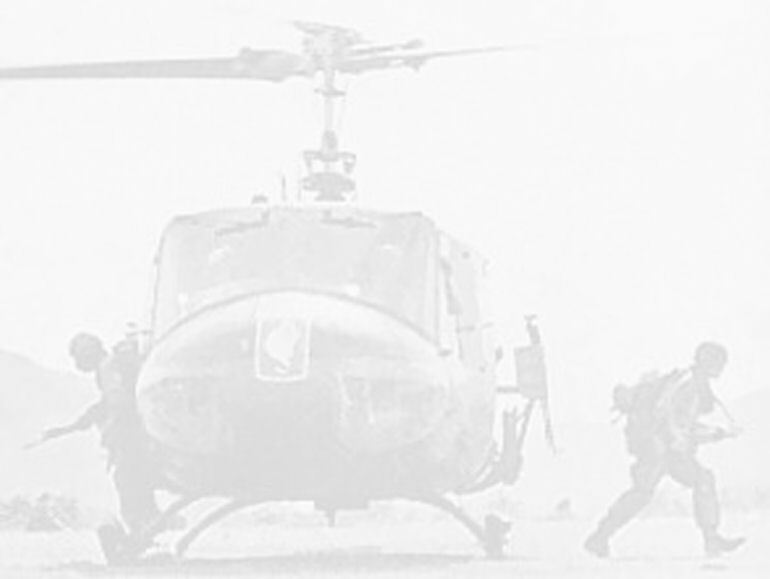 The performance featured a stunning computerised image of a helicopter which was incredibly effective and realistic - together with the sound effects of the rotor blades, the scene received a huge round of applause. The show was wonderful and we felt very proud to have been associated with such a talented and dedicated group of people. We managed to accost two of the stars of the show to appear in our photographs and despite them having been on stage for almost three hours, they were delightful. Thanks Will and Ben. 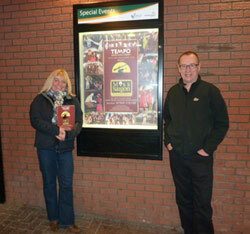 And thanks to the whole team for a very enjoyable evening.